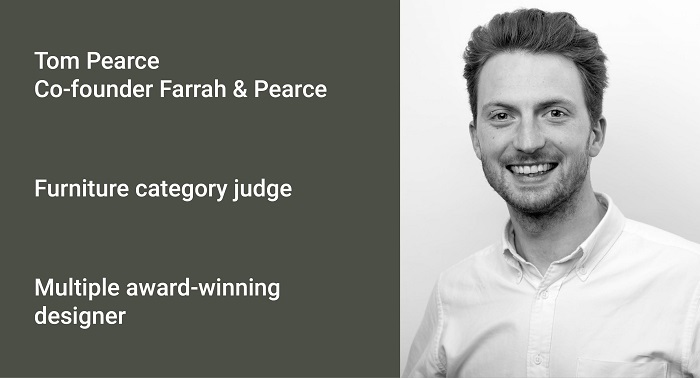 Tom Pearce of design consultancy Farrah & Pearce has sat on the Furniture category judging panel for three years. Prior to setting up Farrah & Pearce in 2018, Tom spent time working at some of London’s top design studios. 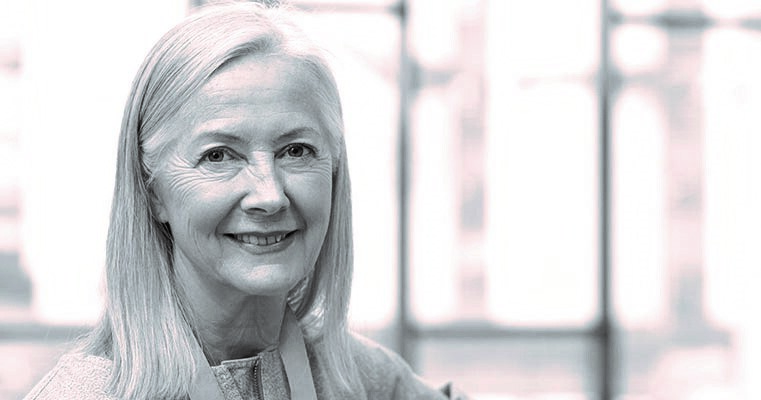 In 2009 he co-founded Sebastian Conran Associates. His work is interdisciplinary with projects ranging from product and branding design to furniture, transport, lighting and sculpture. Tom’s products have been exhibited at major design museums worldwide, and his work has received numerous international accolades. We caught up with Tom to find out more about his career to date. What first turned you on to a career in the design world? I began thinking about design while helping my father build furniture in his workshop at the age of 10. I quickly developed a love for the way things are constructed and studied with the clear motive to design. Can you sum up what design excellence means to you in a few words? Design excellence hits you smack in the face when you see it. Your inner subconscious is instantly interested and you can’t help admiring the quality, beauty and feel of an object. When the stories and design thinking behind a piece lift the provenance further you get an even greater sense of appreciation. What is it about the judging process that you enjoy most? Design Guild Marks are given on the merits of the individual piece rather than giving away a certain number across the day, so the focus of scrutiny is on the design only. Listening to highly talented designers passionately discussing the intricacies of and inspiration behind their designs is inspiring and hugely enjoyable. 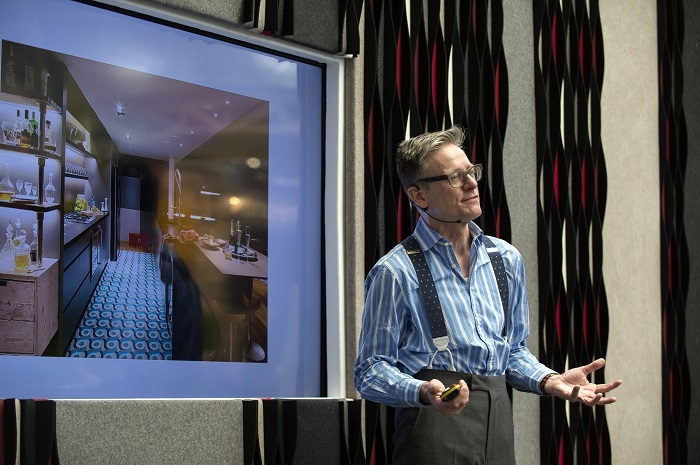 It’s easy to categorise and stereotype when you are faced with a room full of furniture, but focusing on each presenter’s story allows you to contextualise the features and benefits and judge impartially. 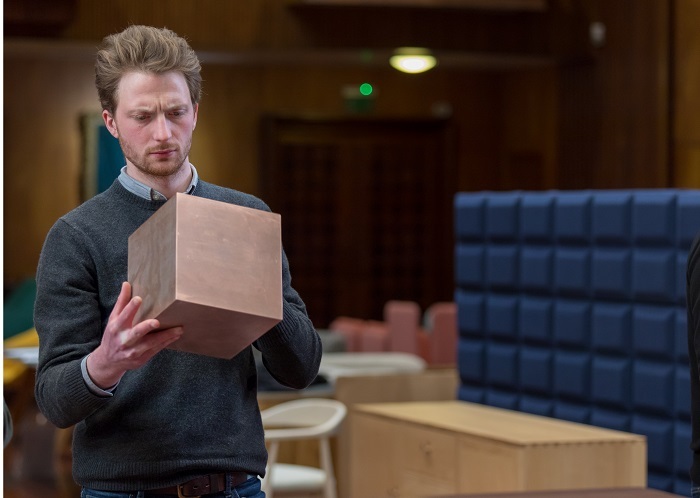 Did you spot any emerging trends at the Furniture category judging day in March? The key emerging trend, quite noticeably, is the drive toward cleaner and greener furniture that has no adverse impact on our environment by using responsibly sourced organic materials, down to the choice of wood glue. 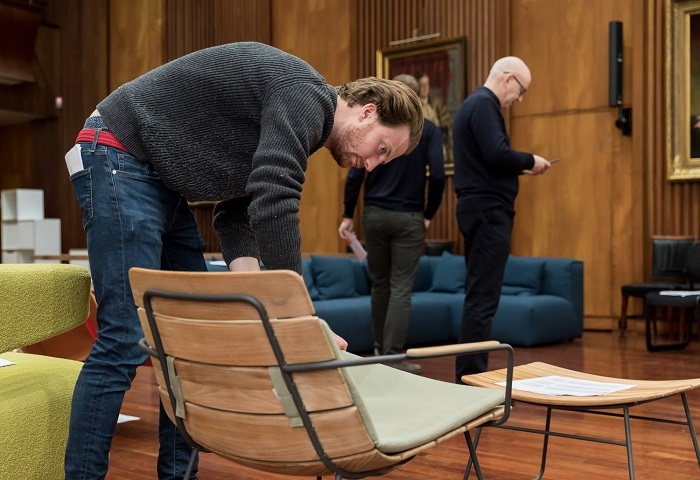 It’s the designers’ responsibility to search for more sustainable resources and the furniture industry needs to play more of a leading role. Farrah & Pearce is an independent creative design consultancy based in South West London. It specialises in creating compelling and thoughtful products, branding and graphics, and provide a service that is competitive, friendly and forward-thinking. For more information, go to: www.farrahandpearce.com. 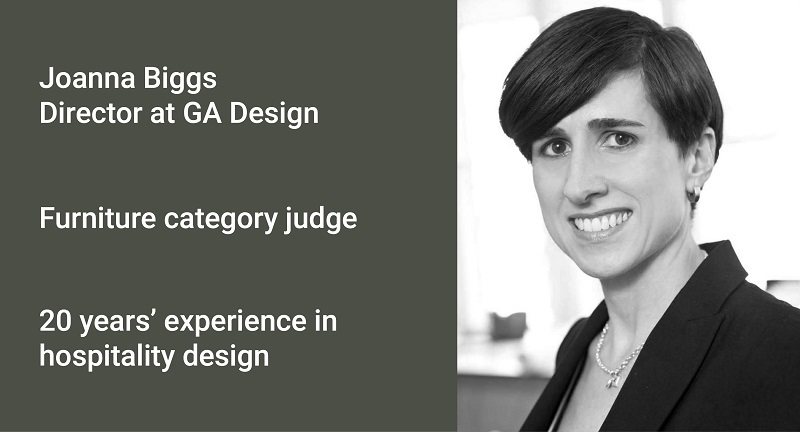 For information on all the judges, click here.